Beyond the brash modern stereotypes of Essex there exists a landscape that has inspired some of England’s finest writing. This book tracks the paths of those literary figures who have ventured into the wilder parts of Essex. Some are illustrious names: Shakespeare, Defoe, John Clare, Joseph Conrad, H. G. Wells, Arthur Ransome. Others may be lesser known but here are well remembered: Samuel Purchas, Sabine Baring-Gould, Margery Allingham, J. A. Baker. In ten chapters James Canton crosses five centuries into the furthest reaches of the county in search of writers and what can be seen of their work today. J. A. Baker follows the peregrines along the Chelmer valley to the Blackwater estuary at Maldon. John Clare wanders the hidden pathways of Epping Forest scribbling poetry while Arthur Ransome sails around the islands of the Hamford Waters. William Shakespeare appears in the woody glades beside Castle Hedingham, Joseph Conrad stares across the Essex marshes at Tilbury to the Thames, while Sabine Baring-Gould’s Gothic heroine Mehalah lives upon a lone muddy stretch beside Mersea Island, where Margery Allingham sets her first tale of smuggling and murder; Daniel Defoe recounts the horror of the ague on the Dengie Peninsula; H. G. Wells writes a tale of the First World War from his home at Little Easton. Samuel Purchas tells such seafaring tales from his Southend vicarage as to inspire Samuel Taylor Coleridge to write Kubla Khan. Combining detailed literary detective work with personal responses to landscapes and their meanings, James Canton offers a fresh vision of Essex, its cultural history and its living legacy of wilderness and imagination. 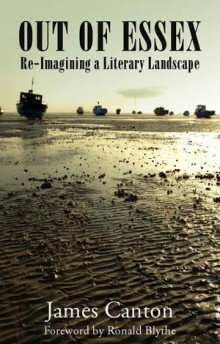 James Canton has taught the MA in Wild Writing in the Literature, Film and Theatre Studies department at the University of Essex since its inception in 2009, exploring the ties between literature and landscape. His first book From Cairo to Baghdad was published in 2011.